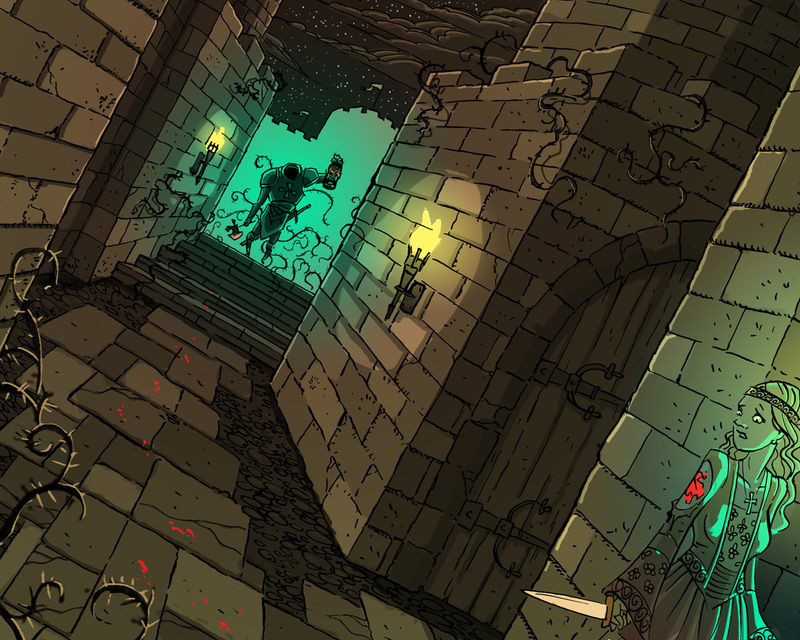 The final project for Storytelling an Environments was a doozy: 5 illustrations depicting a world of mish-mashed genres. I've been looking into Arthurian mythology lately and my love for horror is definitely no secret, so I decided to blend Arthurian, sword and sorcery with contemporary horror films. 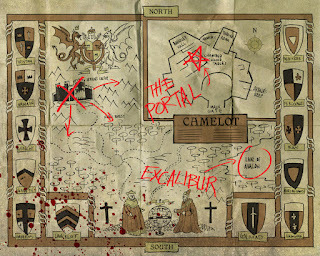 An Overview of Camelot featuring the origin of the dark portal opened by Merlin over the Round Table of Arthur and his Knights. 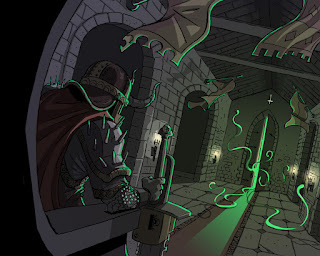 He wasn't powerful enough to close this portal to the Darker Realms and evil pours through, creeping through the kingdom, tainting all it touches. 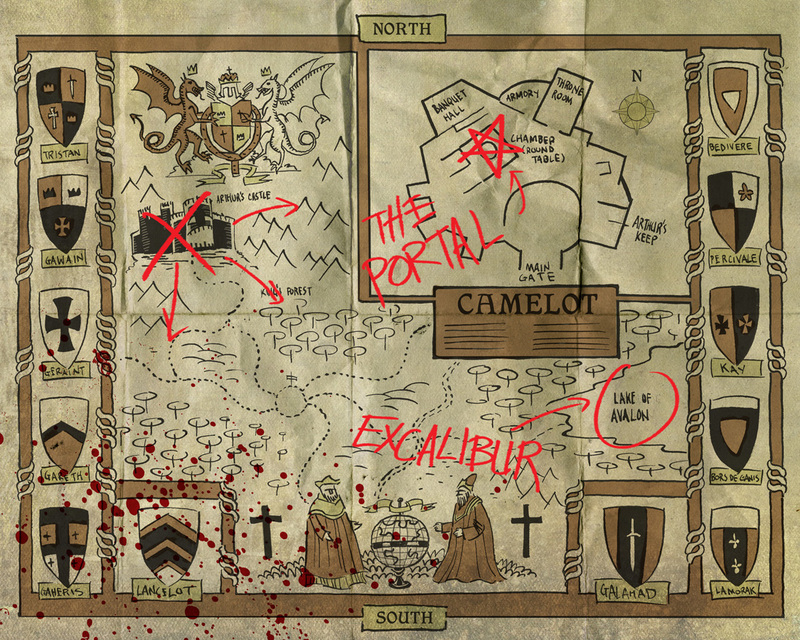 Salvation lies at the Lake of Avalon: Excalibur! 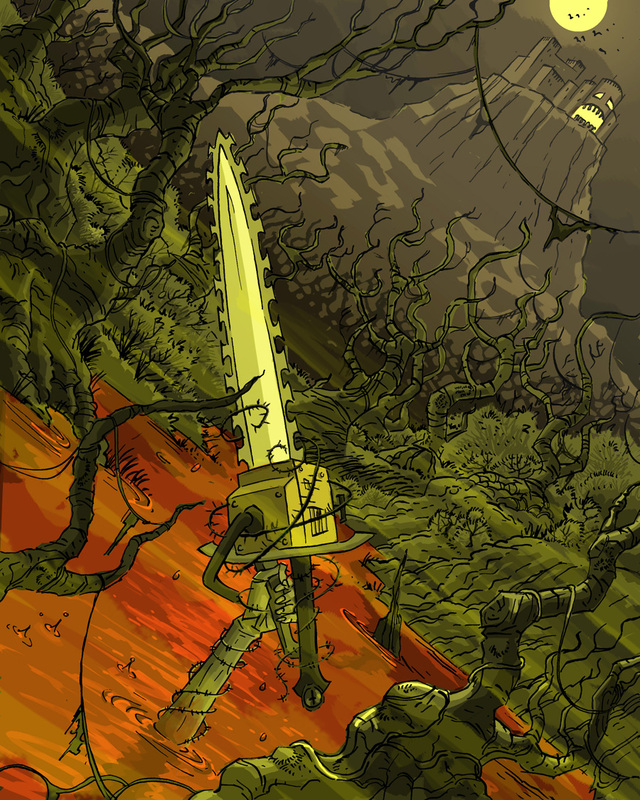 The big revelation was that of Excalibur's transformation into a chainsaw/sword. Oh. Yes. 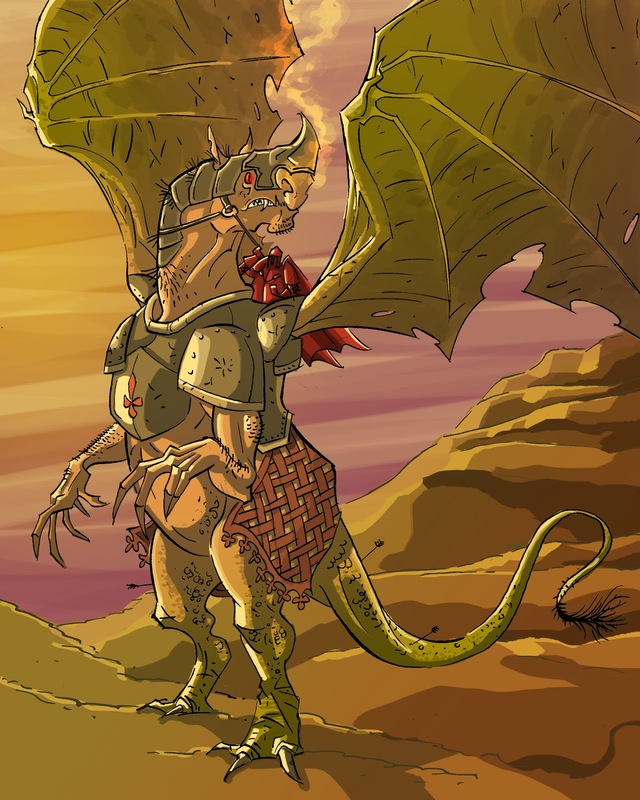 The transportation in this world is dragons, a strong presence in Arthurian mythology, but I didn't want to do a cliched dragon design, so I fused a dragon body to a strange, flesh-colored, humanoid top section. Weird. The headless Green Knight stalks Lady Guinevere through the castles of Camelot, a nod to slasher flicks. The lighting is very Suspiria on this one. 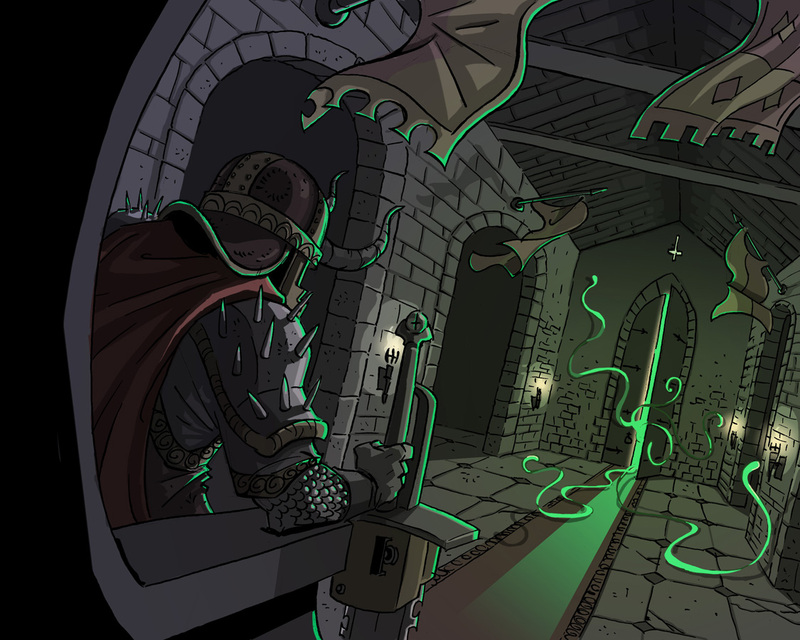 The Final Showdown in King Arthur's throne room; Excalibur in hand, Ancient Evil slithering in through the door. Speaking of horror: I just saw Cabin in the Woods. Freaking fantastic.